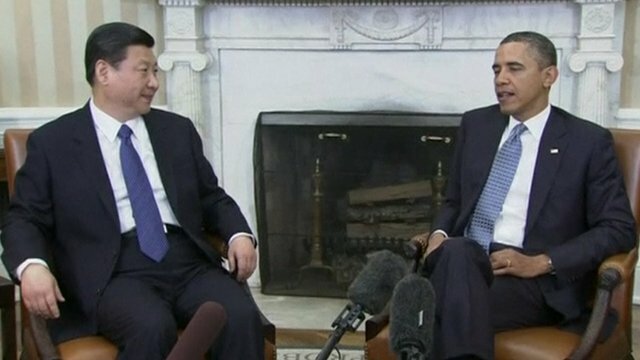 Obama meets China's 'next leader' Jump to media player US President Obama has emphasised the importance of a strong relationship between Washington and Beijing as he met the man expected to be China's next leader. 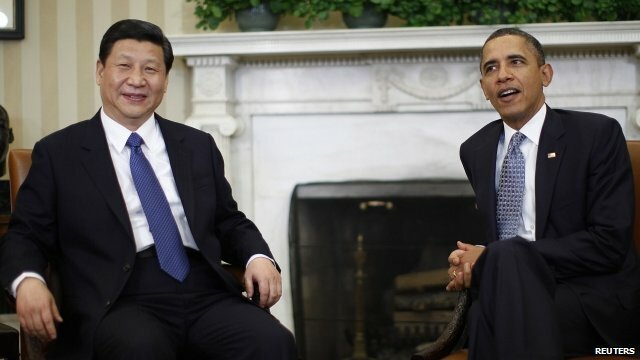 Obama: China relationship 'vital' Jump to media player US President Obama has welcomed Xi Jinping, the man expected to become China's next leader, to the White House. 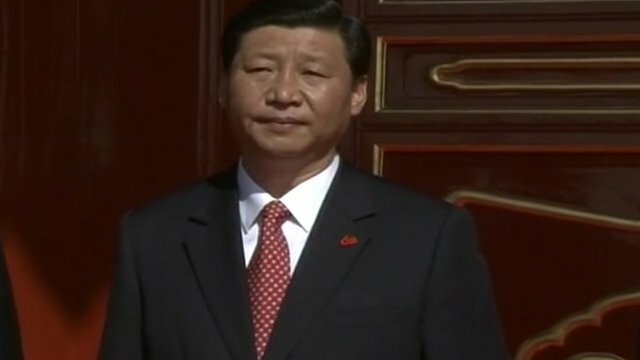 China Vice President begins US trip Jump to media player Chinese Vice President Xi Jinping, who is widely tipped to become President in 2013, begins an official visit to the United States on Monday. 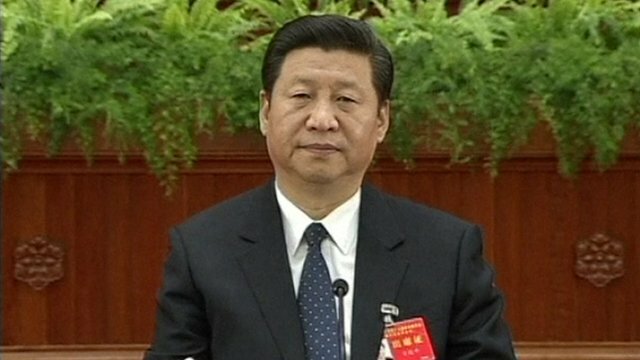 Xi Jinping: China's next leader? Jump to media player Damian Grammaticas looks at Chinese vice president Xi Jinping, who has just arrived in the US where he will meet President Obama. US President Obama has emphasised the importance of a strong relationship between Washington and Beijing as he met the man expected to be China's next leader. Xi JinPing, China's current vice-president, is in the US on a week-long trip as the guest of US Vice-President Joe Biden, who made a high-profile visit to China late last year. Ties between the two countries have been strained over trade, currency, and human rights, but Mr Xi said he hoped his visit would deepen mutual understanding. Steve Kingstone reports from Washington.